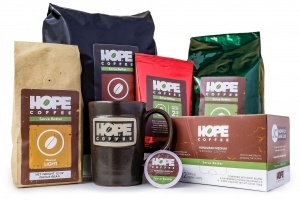 Quality Coffee: It is possible to have affordable and good-tasting coffee. Ditch the big tin can and serve a quality coffee. You won’t be disappointed, and neither will the people walking though your door. Ethically Sourced: More and more people want to be conscious about where their products come from. 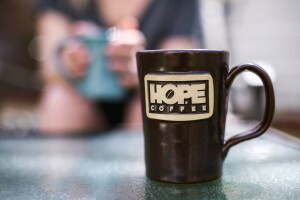 Be intentional about the source of your coffee, and consider serving a coffee with an eternal impact, like HOPE Coffee. 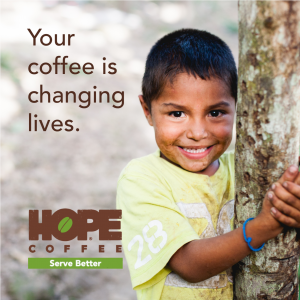 We know our farmers and you can see the impact your coffee purchase makes in the lives of people throughout Honduras and Mexico. Don’t forget to let people know the difference their coffee makes with signs and promotional materials! 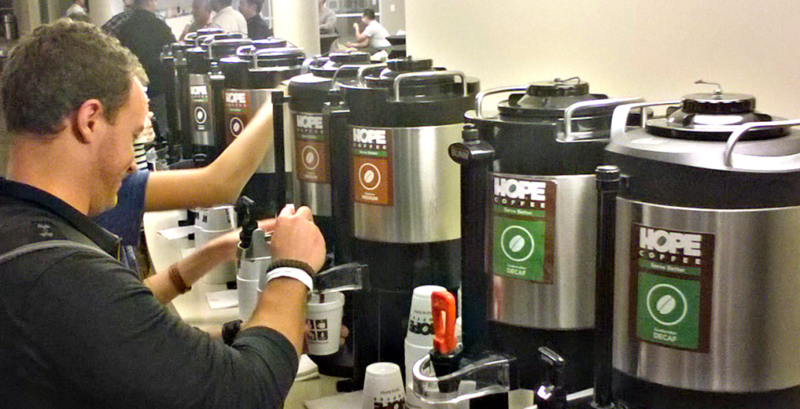 Hospitality Training: Your coffee bar is the perfect opportunity to serve people well. Take some time to train your coffee and hospitality team on how to brew your coffee the right way, every time. (Tip: our 2.5 oz wholesale packets are a great way to make sure that every pot is the same consistent quality!) Don’t forget to regularly check on your condiments and supplies to make sure your coffee bar is clean and well stocked. When you show others hospitality through these little acts of service, people will feel loved and cared for. Easy Access: Place your coffee bar in a location where people can easily stream through to get their coffee. 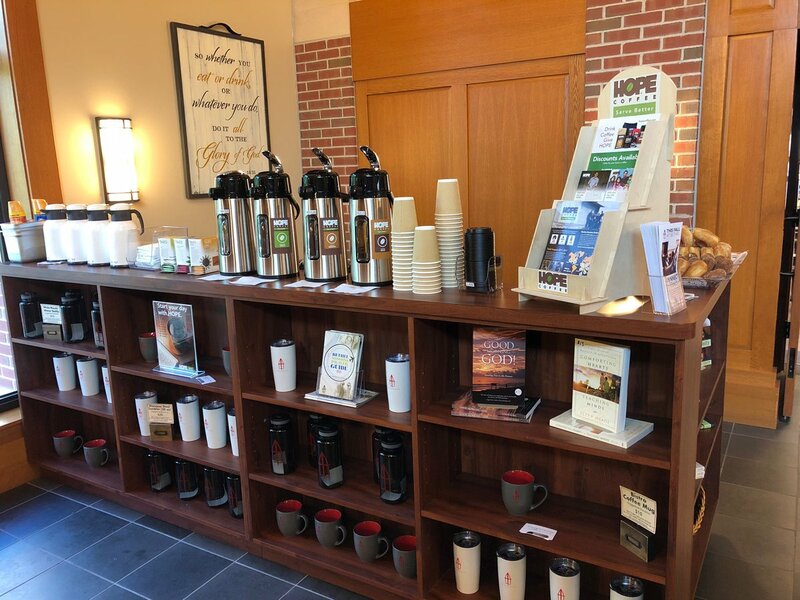 Conversations often take place over coffee, so make sure the coffee bar is located in an area where there is room for people to gather and talk nearby. Clear Signage: No one likes searching for their morning cup of coffee. Put clear signage in place so that people can find the coffee bar easily. 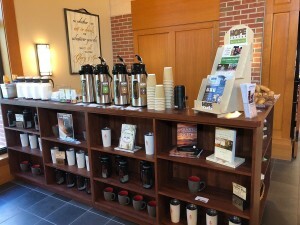 Label Everything: Place labels on the coffee containers, storage bins for condiments, creamer pitchers, and anything else that is available at the coffee bar. For your coffee containers, use removable labels that describe which roast levels are available for consumption. Condiments/Supplies: While some people enjoy drinking black coffee, others will want to add creamer and sugar. For the creamer, you can purchase the little flavored creamer cups or provide pitchers with cold half-and-half and milk. Sugar can be purchased in little packets or small canisters. Stir sticks and small napkins will also be needed. Plan Ahead: Make sure you order enough coffee and supplies to account for even the busiest times of year. 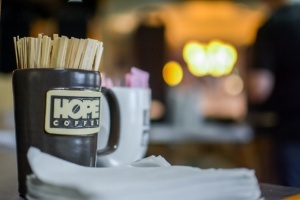 Consider one of HOPE Coffee’s Monthly Recurring Orders so that you never have to remember to re-order your coffee and tea! We have recurring order plans for both Churches and Offices! Quality Tea: There are some people who don’t enjoy coffee, but would enjoy a good cup of tea. 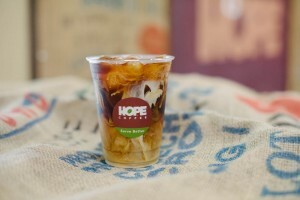 HOPE Coffee partners with Compassion Tea to provide high-quality tea whose profits support medical missions in Africa. 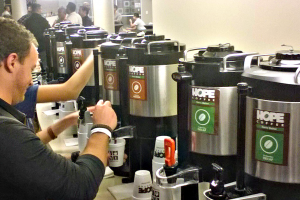 Examples: See examples of how some of our HOPE Partner Churches and Organizations have styled their Coffee Bars! Have more questions about starting your coffee bar? 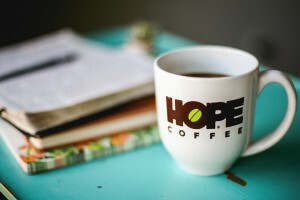 HOPE Coffee is here to partner with you to provide high-quality coffee and tea, and we use 100% of our profits to support mission work in Honduras, Mexico, and Africa.